Pat N. of Peaks Island, ME and Amanda T. of Rocky River, OH each won a Yarn Store In A Box ® with binder and sleeves. Catherine J. of Riverside, RI and Elizabeth M. of Rock Hill, SC each won our Long Reach Ruby Anniversary Project Bag. Ginger K. of Morrison, CO and Holly K. of Brentwood, NH each won a set of four travel mugs and a Ruby Anniversary Eco Project Bag. Jan S. of New Canaan, CT, Judy V. of Mechanicsville, VA and Marianne W. of Santa Rosa, CA each won a Ruby Anniversary Eco Project Bag filled with a $50 Halcyon Yarn Gift Certificate and a package of signature patterns. 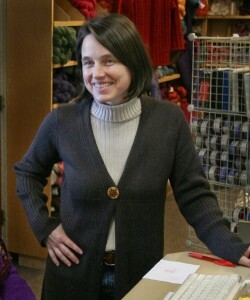 Molly D. of White River Junction, VT won a $150 Halcyon Yarn Gift Certificate. Congratulations to all our winners this year. Thank you all again for joining in the fun! As many of you know, our Ruby Anniversary Homecoming Party took place Sunday the 17th of July. As I sit and reflect on the day I can’t help but smile. It was my sincere hope that this event would be a day to connect with our customers in a fun and celebratory setting. It was all that and more. I send a sincere thank you to all who shared in this event. 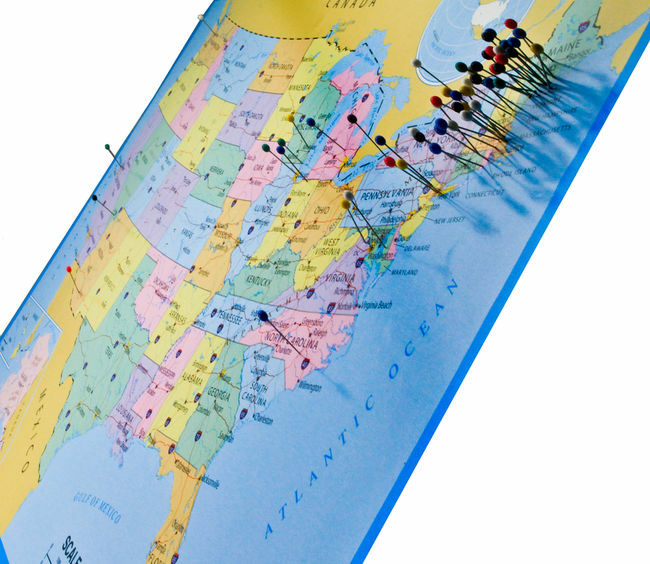 Customers came from near and far, California, Washington, Arizona, Michigan, Indiana, New York, New Hampshire… It just affirmed that we may all be from different places, but the fiber community in which we share creates a special bond that you rarely find elsewhere. For those of you who were unable to attend please take a look at our photo album. I think you’ll agree, it was a great day. I will look back at these photos (you can see a nice big version of them as a slideshow on flickr) with fond memories. My 40th anniversary has given me cause to reflect. I have thoroughly enjoyed the past 40 years of bringing you all the best in fiber arts and look forward to continuing the commitment for years come. I would love to hear your thoughts. Please feel free to leave a comment. 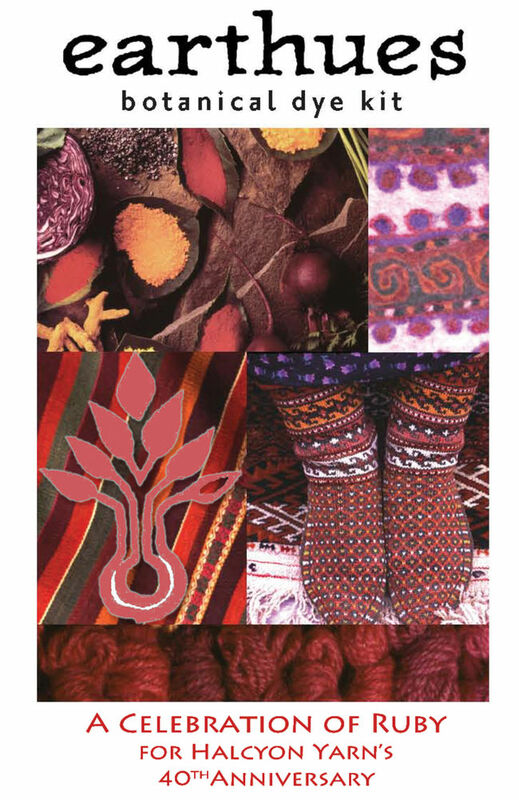 Incase you need a little extra inspiration to do some dyeing on your own, look no further than Earthues: Ruby Botanical Natural Dye Kit . Halcyon Yarn’s good friend Michelle Wipplinger developed this collection to commemorate Halcyon Yarn’s 40th “Ruby” Anniversary. Its contents allow you to explore nature’s rich ruby hues. The kit contains lac, madder, and quebracho red, instructions, mask and gloves and the corresponding fixatives (mordants) to dye approx. 4 lbs of wool, silk, alpaca, mohair or other protein fiber. Celebrate reds to dye for… with Earthues and Halcyon Yarn! For those of you who have read our previous newsletters, you’re probably well aware of the details so we’ll be brief. • Traditional Maine Luncheon of Lobster Rolls or BBQ Pork Sandwiches (a vegetarian option will be available too) from 11:30-1:30. Open to all, but a limited number of tickets for lunch available so purchase soon. See our Homecoming Party page for details and to order luncheon tickets. If you’re just hearing about our Ruby Anniversary Homecoming Party please see our Homecoming Party page or previous posts for more details. Can’t wait for Sunday! Hope to see you all. Join us on Sunday for the Homecoming e-Party! We know that many folks are simply too far away to make it to the Homecoming Party, and you will be missed… But you can still be a part of the excitement! There are two ways we’ll keep you involved: First, we’ll be posting photos and videos of the event early next week. Second, on Sunday, on-line, there are several ways you can enter to win prizes. Get one chance to win for each $10 you spend online at halcyonyarn.com on Sunday, July 17th. Only requirement is that you leave a comment in the comments box during checkout to let us know where you want your chances to go – choose one or more items from the list above. Comment on this post (you must be reading the single post here to comment below) on Sunday, noting which item you’d like, and you’ll get one chance to win. If you haven’t already, “Like” us on Facebook… Then, on Sunday comment on our Facebook page, again, noting the item that you’d like, for one chance to win. Remember, your on-line chances to win are only available on Sunday July 17th. Good luck and enjoy your Sunday! Some like it hot… Some like it cold… you can have it either way with our sturdy ceramic travel cup/mug. We’re not normally the type to put our name on a cup or mug… But this sturdy, elegant solution (it is hollow to keep the outside surface cool) seemed very worthwhile. We feel it is worth a gander in it’s own right, but we also understand that some folks can’t stand to part with their stash-cash for anything that isn’t fiber. Even if that is the case, we have good news. Through July, 2011, when you spend over $100 (before shipping), you can use the code HYN711 to get a Ruby Anniversary Travel Cup for free! That’s right, add the Cup to your cart, enter the code at checkout, and the cup will be free. We have a bunch of other fun “Ruby” products – check them out (keeping in mind that they are all limited time availability). Enjoy! Get Ready for the Give-Aways! Here at Halcyon Yarn we’re counting down the days to our Ruby Anniversary Homecoming Party on Sunday July 17, from 11am-3:30pm. This Party is about : Celebration – Connection – Commitment! We’ve told you about some of the great things you can expect on this day. From 11:30-1:30pm we’ll be hosting a traditional Maine picnic, complete with fiddlers – The Nequosett Duo. Please remember it is FREE and open to all (but you do need a picnic ticket to have one of the limited number of lunches available, see our Homecoming Party page for details). Outside, our parking lot will be filled with vendors hosting yarn “tastings”, offering great give-aways and giving demonstrations. 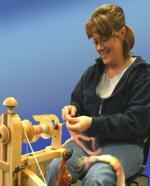 You’ll also find a sheep to shawl demo. Inside you’ll find an array of “goodies” for our FREE prize drawings. Did I mention there are a lot! Oh, and new yarns for fall are arriving as we speak. The first to arrive have been Cascade Duo, Cascade Superwash 220, Cascade Eco Plus in colors, Baby Alpaca Chunky Paints and Alpaca Lace. Who knows what else will have arrived by the 17th. Are you intrigued by the FREE give-aways and prize drawings, but also a little curious as to what these items might be? 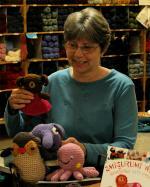 Well, let me just say the staff at Halcyon Yarn is very jealous. What a selection! 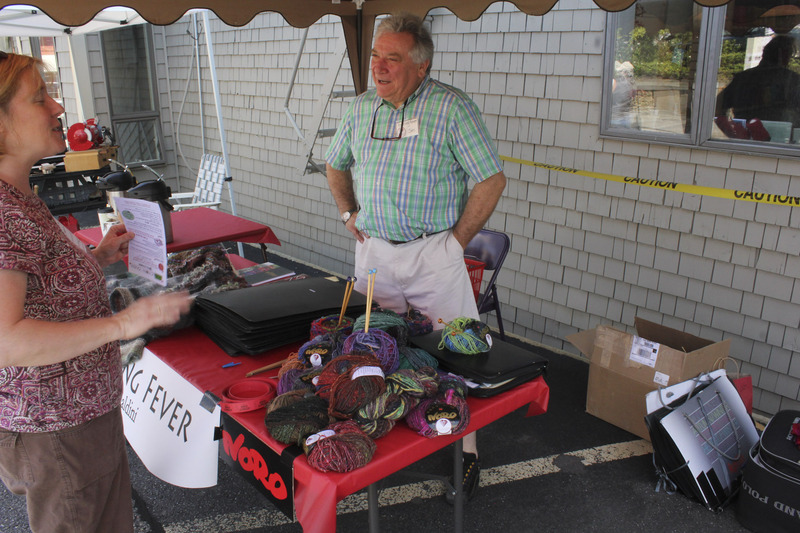 There are Noro books, pamphlets and yarns. I know many of you will be familiar with the books [Sorry, item discontinued or temporarily out of stock] and [Sorry, item discontinued or temporarily out of stock] and the Noro yarns, Silk Garden, Kureyon and Iro. Did I say ruby cashmere… Of course we’ll also be giving away one of Halcyon’s very own signature [Sorry, item discontinued or temporarily out of stock] , as well as some of our special edition “Ruby” products. That’s just a small sampling of what will be available. So come one, come all for the opportunity to acquire some highly coveted items in the world of fiber. Okay, it all sounds great doesn’t it, but let’s get down to some specifics. How will the drawings work? Just for joining us for the festivities on Sunday the 17th you’ll receive one ticket that can be entered into a drawing for the product of your choice. Plus, for every $10 you spend with us that day you’ll get an additional ticket. Really want that Knit Noro book, then place all your tickets into the drawing for that item or choose to spread them around for a chance to win a variety of products. Prize winners will be announced every half hour. Such choices, such fun! Worried about parking, you don’t need to! Since our event is being held on Sunday, all area parking lots will be open with plenty of free parking and we’ll be sure to have someone helping to direct traffic. Ruby Lunches start Thursday July 7th! 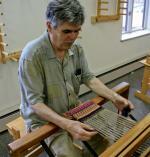 This is the first in a series of FREE lunchtime lecture/discussions and demonstrations that begin this week with Mike Patterson’s “Weave It Forward” – weaving trends. He’s one of our all time favorite teachers, loved by all. What a great person to launch our Ruby Bag Lunches. For a complete listing of lectures and dates, please see below. You are currently browsing the archives for the Ruby Anniversary category.